Did you know that olive oil is listed as one of the world’s healthiest Superfoods? So what is a Superfood? su·per·food — a nutrient-rich food considered to be especially beneficial for health and well-being. Today, many proven scientific benefits of adding the superfood, olive oil, to your diet include heart disease prevention, diabetes prevention, increased bone density, and a powerful immune system booster. Olive Oil contains natural protective antioxidants called polyphenols. Containing over 30 phenolic compounds, olive oil is packed full of extremely potent antioxidants and free radical scavengers. These are elements known to help slow down and stop the brain’s natural oxidation process—where disease and cognitive function can be negatively affected. Studies show that olive oil is loaded with the anti-inflammatory polyphenol, Oleocanthal, which clears the brain of harmful beta-amyloid proteins associated with Alzheimer’s. Olive Oil is a powerful source of vitamins E and K.
It is proven that vitamin E works in our bodies to help maintain good memory, slow memory loss, and to significantly lower the risk of Alzheimer’s and dementia. Vitamin K also helps keep your brain sharp—improving memory and boosting brain-processing speed. It has also been reported to help prevent Alzheimer’s. There are two important brain-boosting chemicals that olive oil contains—brain-derived neurotrophic factor (BDNF) and nerve growth factor (NGF). While BDNF is responsible in offsetting the negative effects of stress on the brain; NGF enhances growth, repair, and signaling of sensory nerve cells—transmitting information such as sight and sound. Olive Oil reduces the risk of depression. In a recent scientific study of individuals who replaced their unhealthy trans fat diets—which were loaded with processed foods and unhealthy trans fats like canola, sunflower, soy and safflower oils—with olive oil, it was concluded that the risk of depression was significantly decreased by nearly 50 percent. 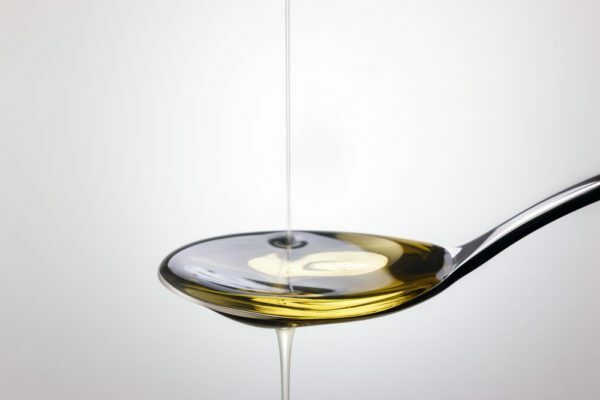 Olive Oil guards the brain against degenerative diseases, such as Alzheimer’s. Studies show that a Mediterranean diet high in olive oil can reduce the risk of Alzheimer’s by up to 40 percent… and a variation of the Mediterranean diet—the MIND diet—also high in olive oil, has been shown to reduce the risk of Alzheimer’s by a whopping 53 percent! Olive Oil truly is a SMART Superfood choice to make! As you can see, the benefits of a high-quality olive oil are extremely beneficial to your everyday health—both physically and mentally!